Where is Repblic Of Macedonia? 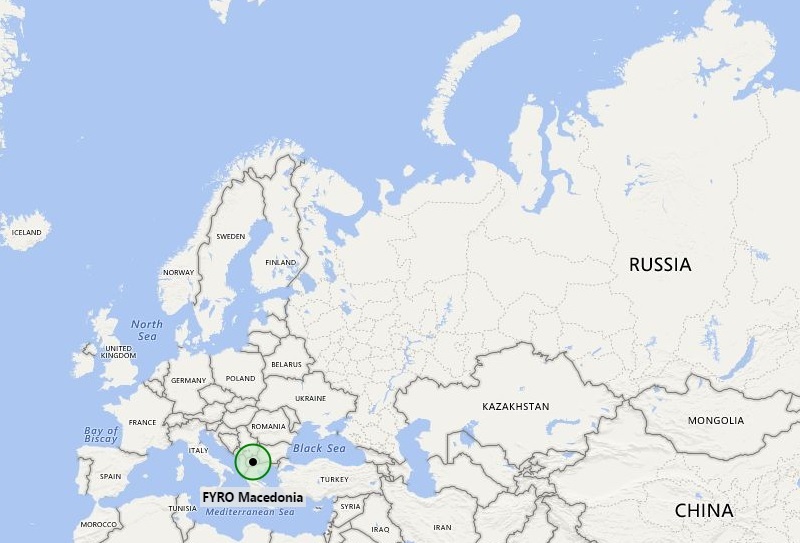 Where is Repblic Of Macedonia located on the world map? Repblic Of Macedonia is a country located in the central Balkan peninsula in Southeast part of Europe. Republic of Macedonia is bordered by Kosovo to the northwest, Bulgaria to the east, Serbia to the north, Greece to the south and Albania to the west. Skopje is the capital city of Repblic Of Macedonia. Largest cities of Republic of Macedonia are Skopje, Bitola, Kumanovo, Prilep, Tetovo, Stip, Veles, Ohrid, Kavadarci and Gostivar.